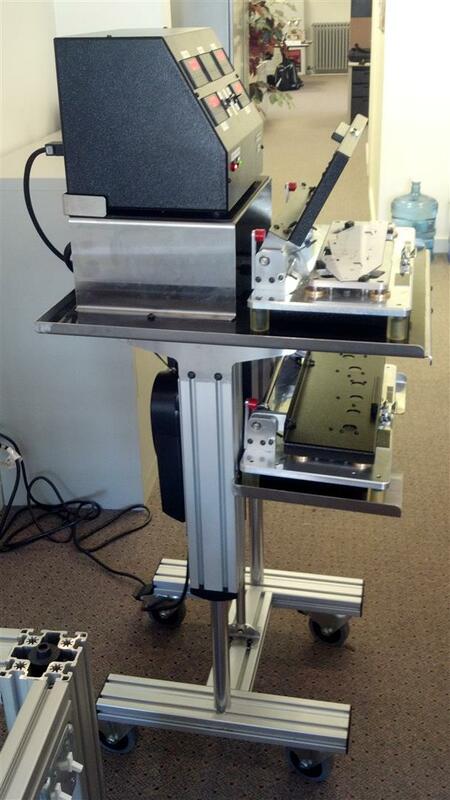 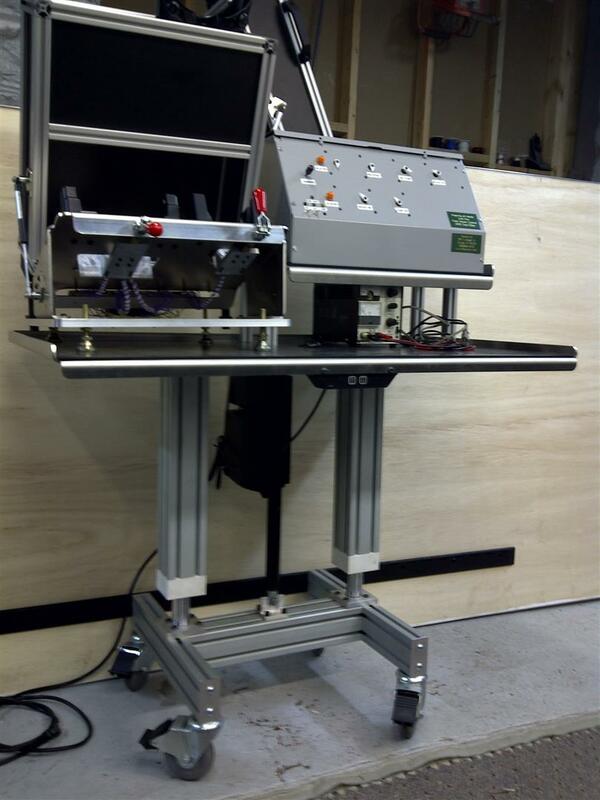 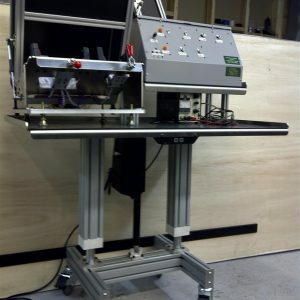 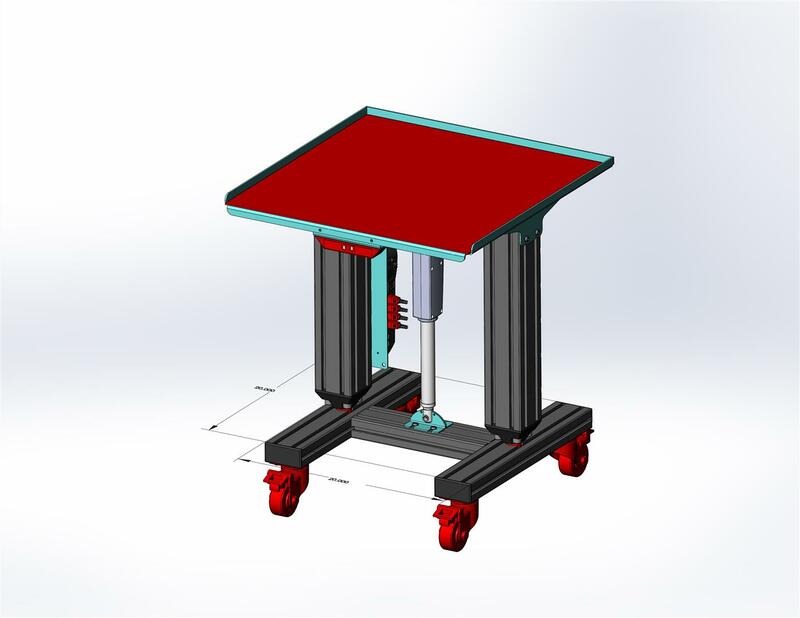 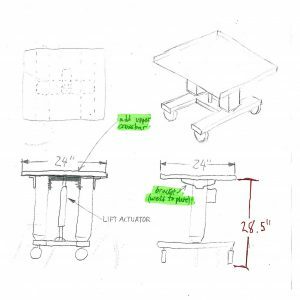 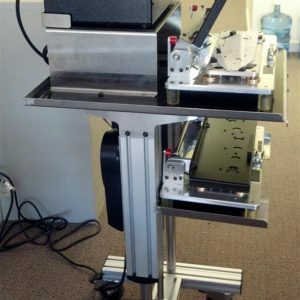 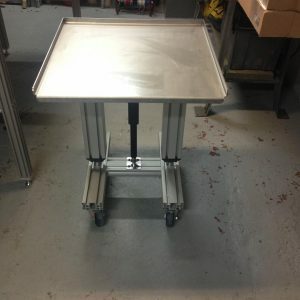 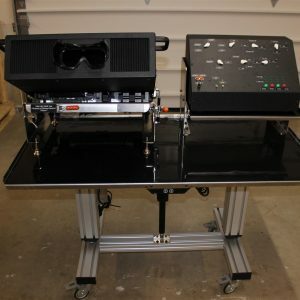 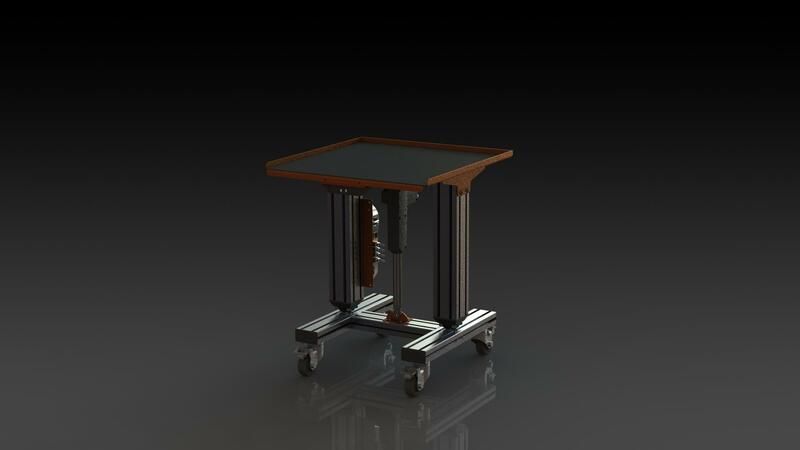 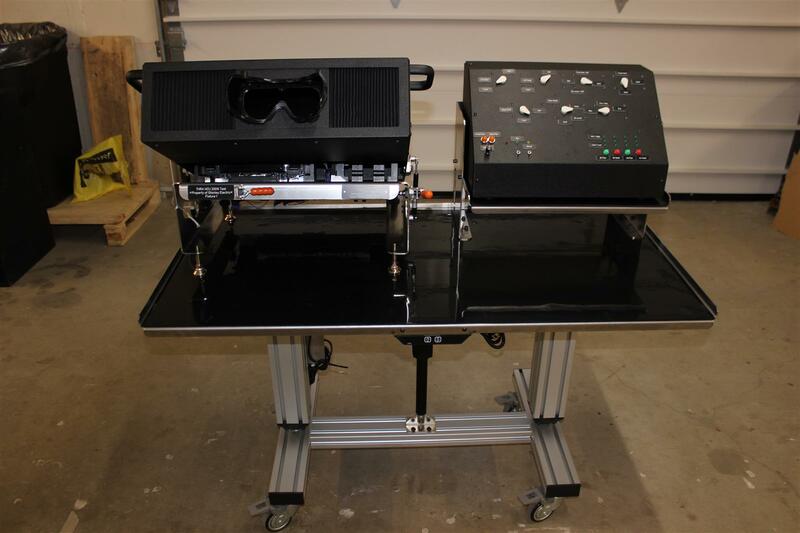 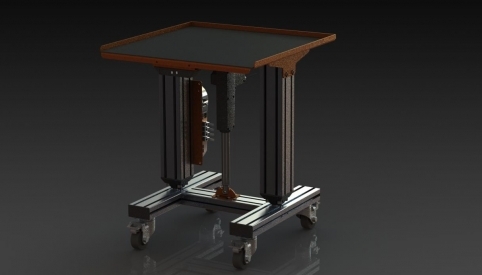 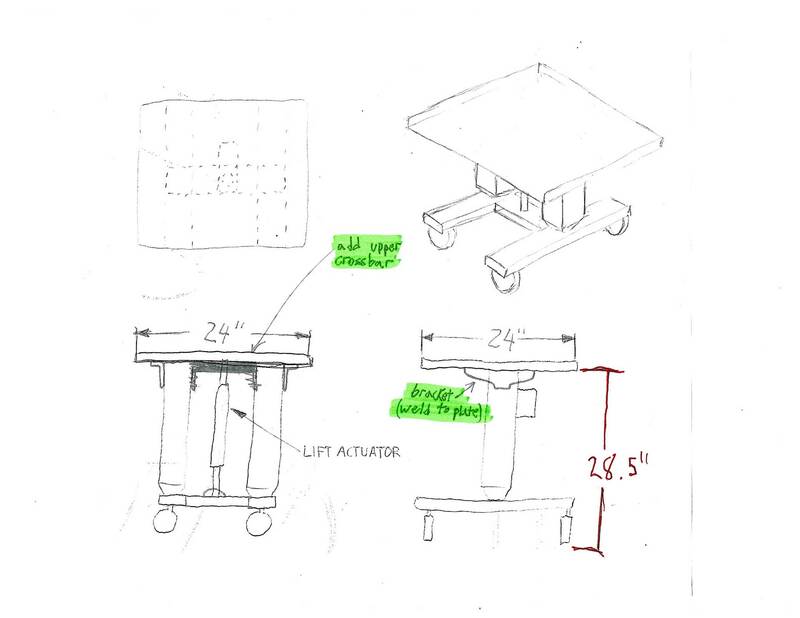 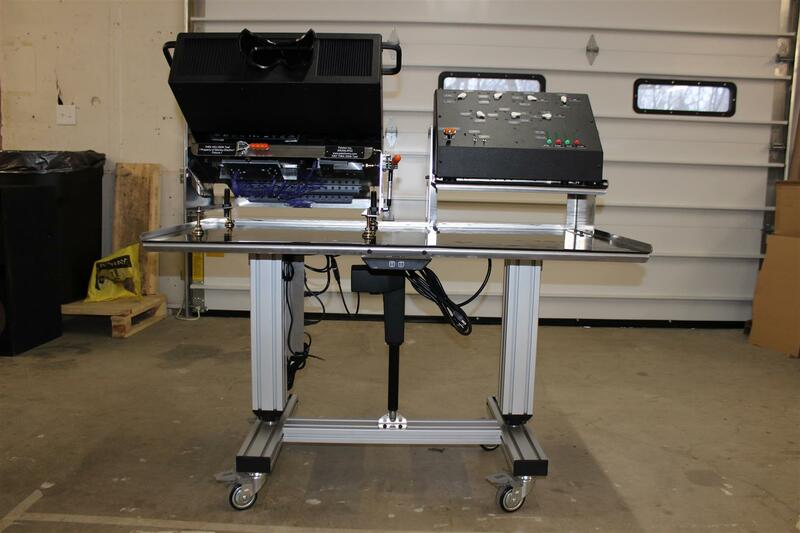 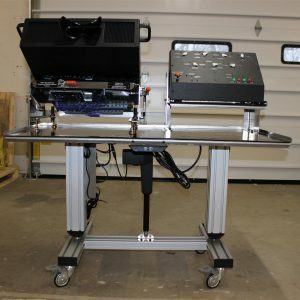 Lightweight, height adjustable machine base for tabletop testing fixture. 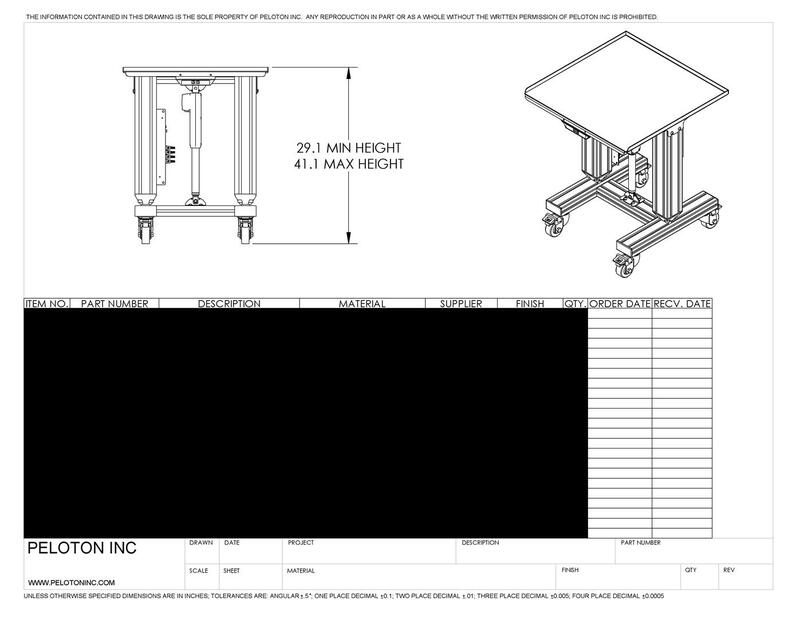 Machine base for table top test fixture. 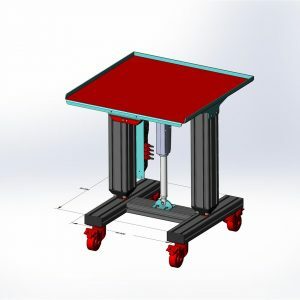 The basic construction was two columns with a single lifting motor. 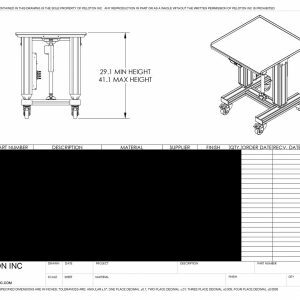 The columns and base were constructed with t-slot aluminum extrusion to create flexible mounting options for other workstation components. 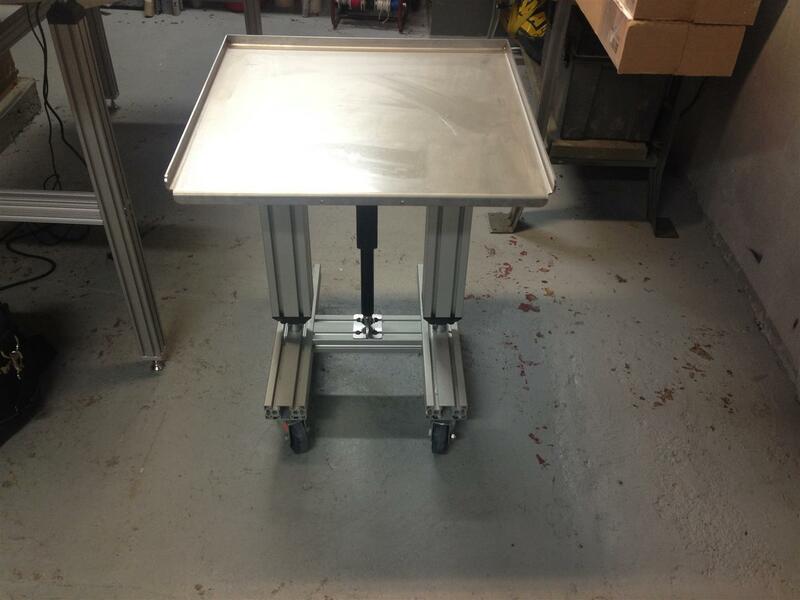 The table top was made of stainless steel sheet metal and covered with an ESD rated mat. 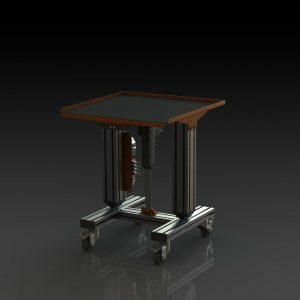 Casters were total locking and ESD rated as well.